A recent hot topic has been circulating cyberspace re: a Greenland ice mapping fiasco that I happily was not involved with. Yet, by coincidence of a grant application submitted in 2009 and funded this year, I am able to assist in my role as a geographer to help complete the global land ice inventory and help resolve the issue so such fiascos don’t happen. 0.25 km satellite image of the east Greenland glacierized complex going by the names: Geicke Plateau and Blosseville Coast. The satellite image comes from the NASA MODIS sensor. The image was produced by J. Box, C. Chen, and D. Decker at Byrd Polar Research Center. NY Times reporter, Felicity Barringer writes a second NY Times article illuminating the challenges of mapping land ice, that links to a page I constructed to provide background on a this new project. 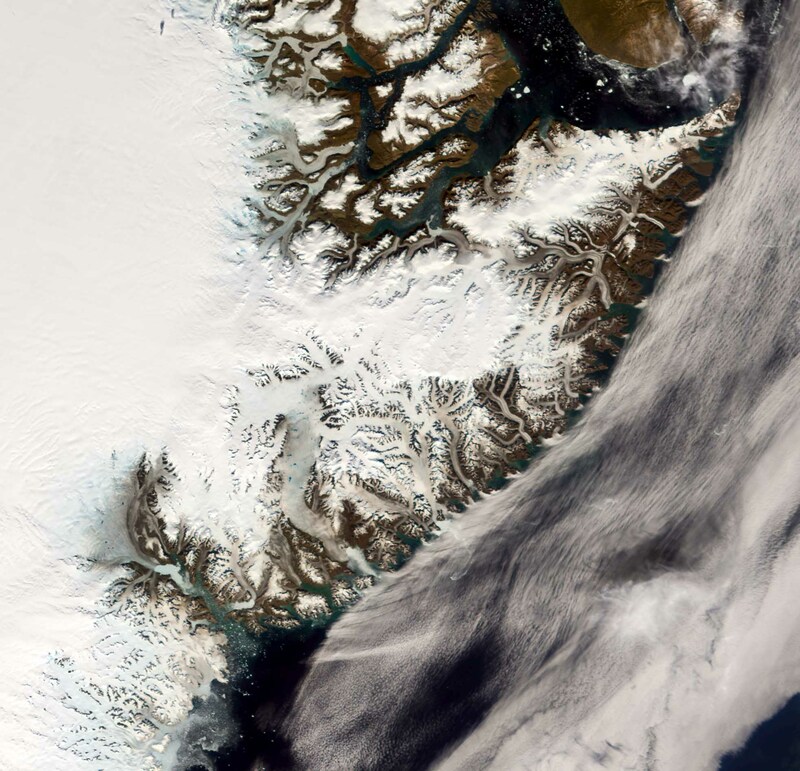 1.25 km satellite image -based classification of the East Greenland glacierized complex. The image is roughly co-registered with above image. 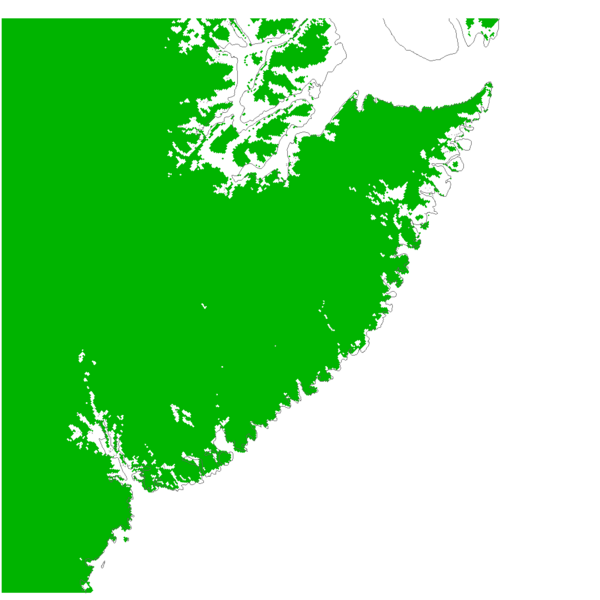 The classification is according to a preliminary land surface classification on a coarser 1.25 km grid than the ultimate 0.25 km grid. We are in the process of producing the 0.25 km classifications and to compare these with GLIMS outlines. A new Byrd Polar Research Center staff person Christine Chen was hired this September to begin her PhD work by advancing ice inventory work beyond the land ice classifications I made beginning in 2007. Christine is now simultaneously improving Greenland and Antarctic Peninsula land ice classifications. We will be sharing these data with the global scientific community in a fully transparent project with an independent validation effort involving colleagues in Switzerland and Boulder, CO. This entry was posted on Wednesday, September 28th, 2011 at 3:02 pm	and is filed under Mass Balance. You can follow any responses to this entry through the RSS 2.0 feed. Both comments and pings are currently closed.